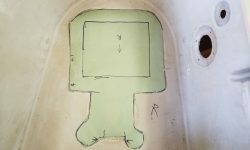 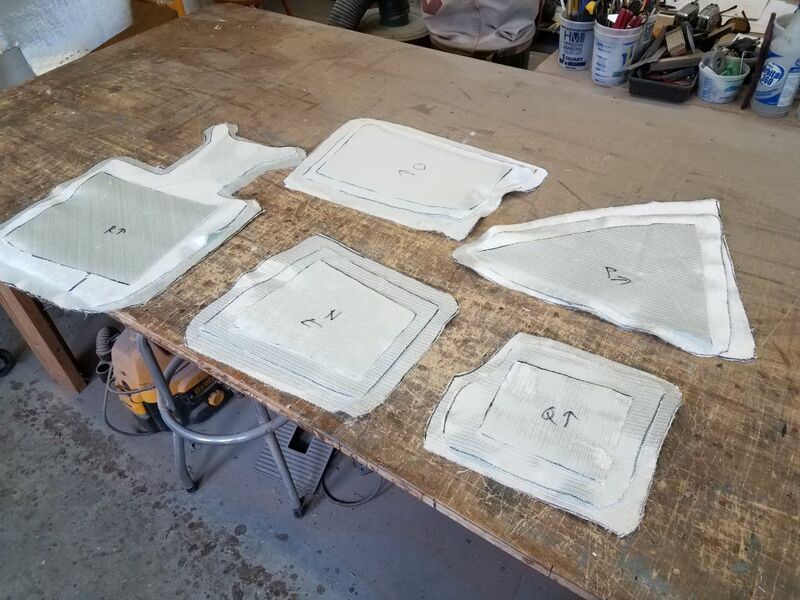 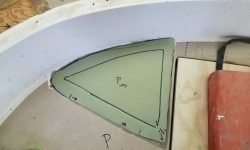 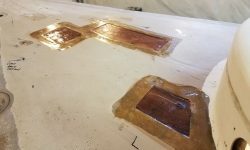 I finished up the patterning for the various top-skin deck repairs in the cockpit, following the same process I’d done on the main decks earlier. 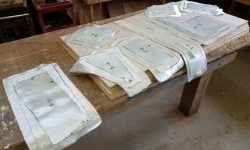 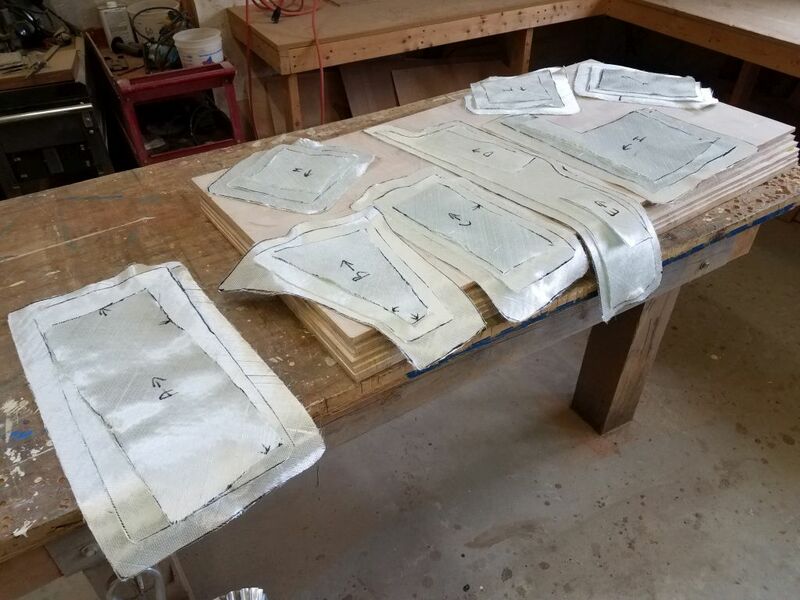 I spent the rest of the morning cutting three layers of 1708 biaxial fabric for each patch. 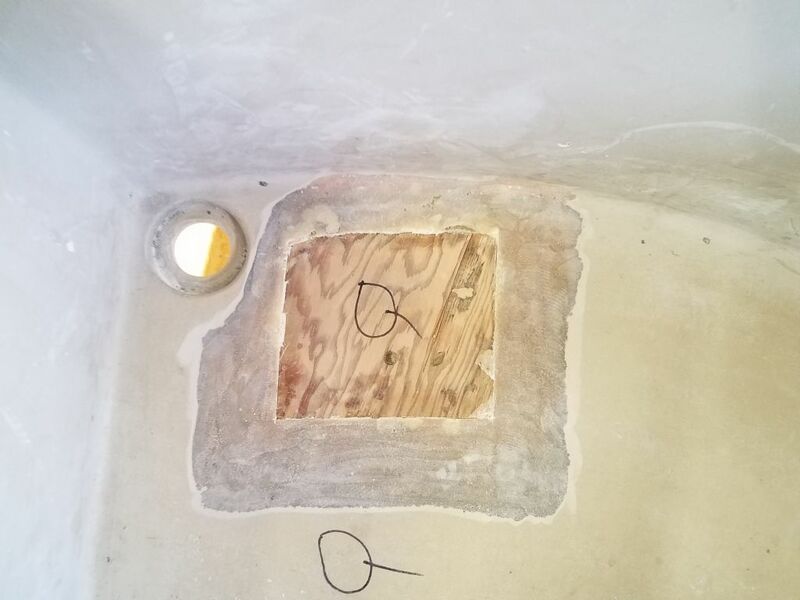 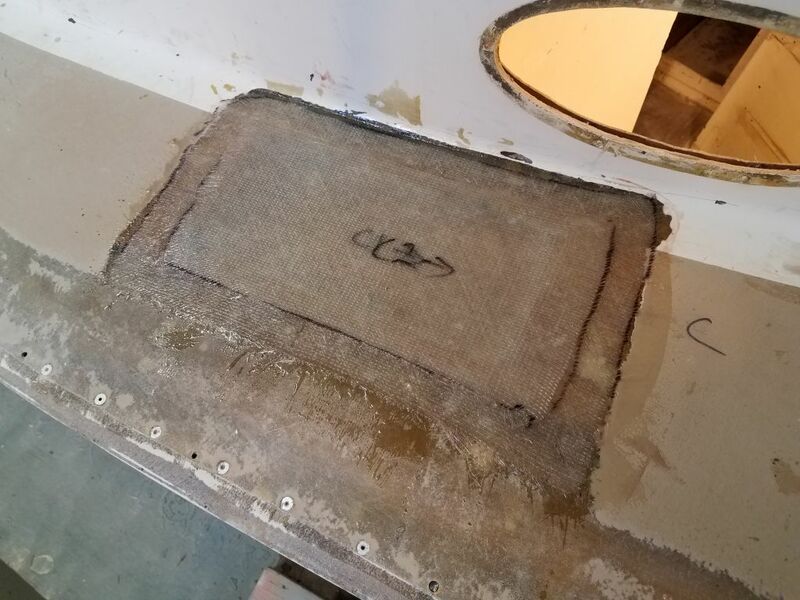 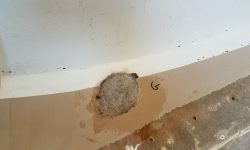 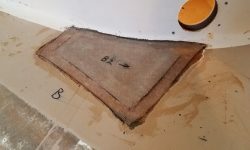 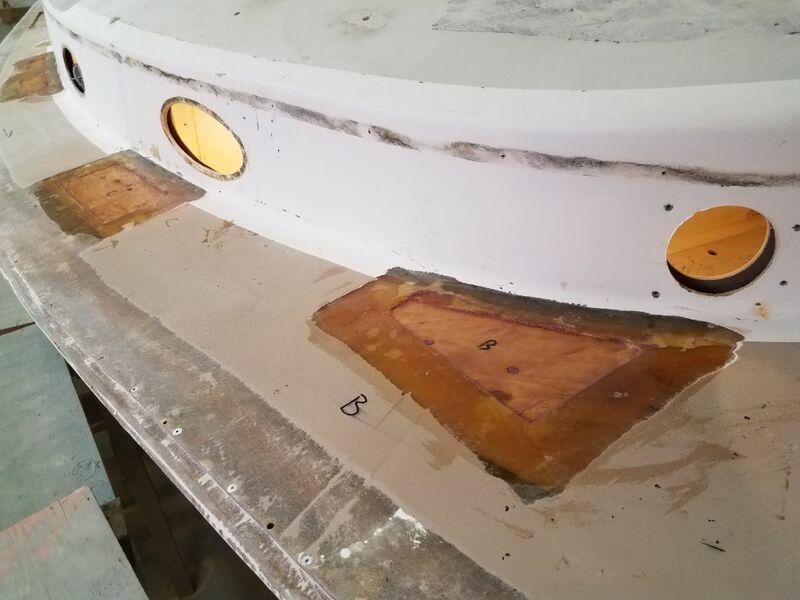 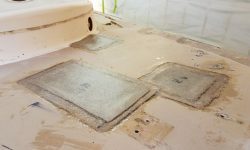 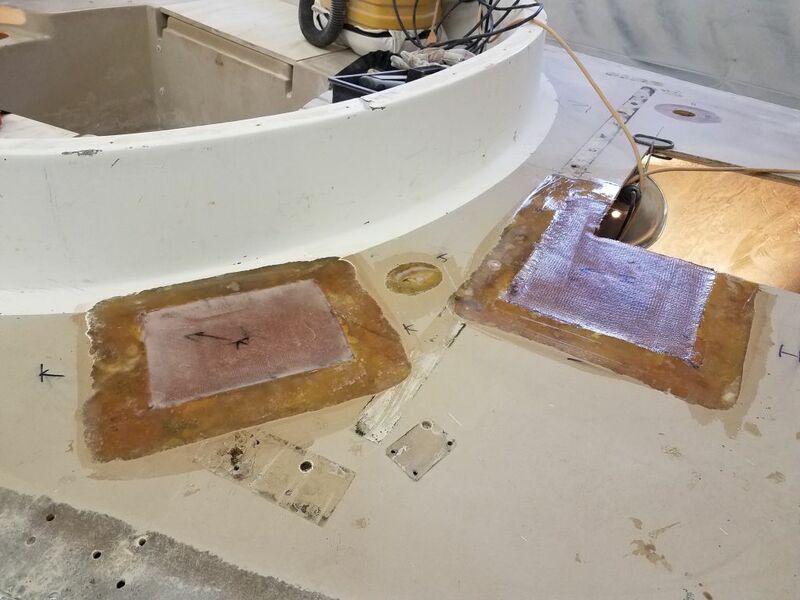 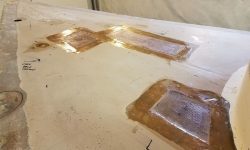 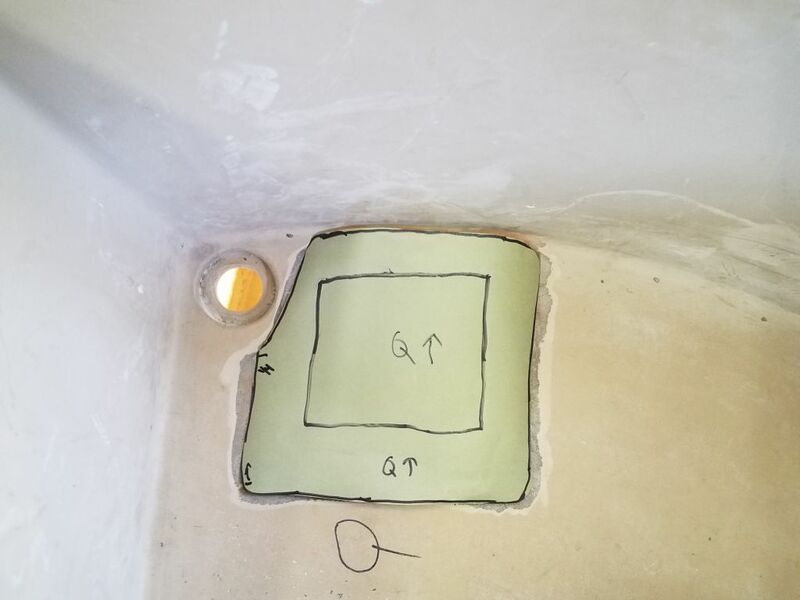 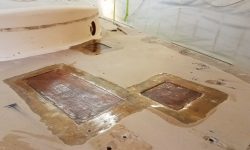 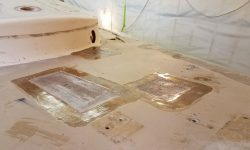 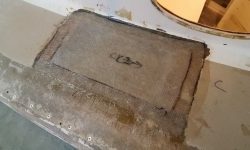 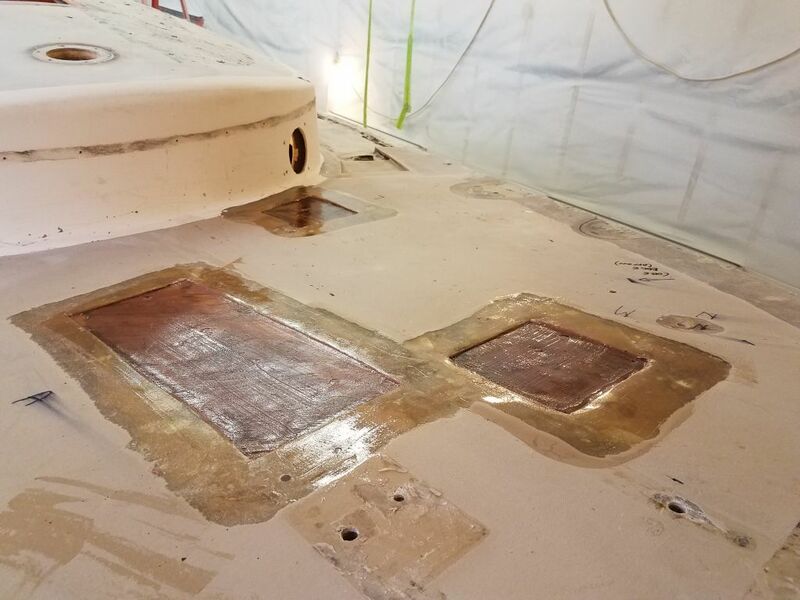 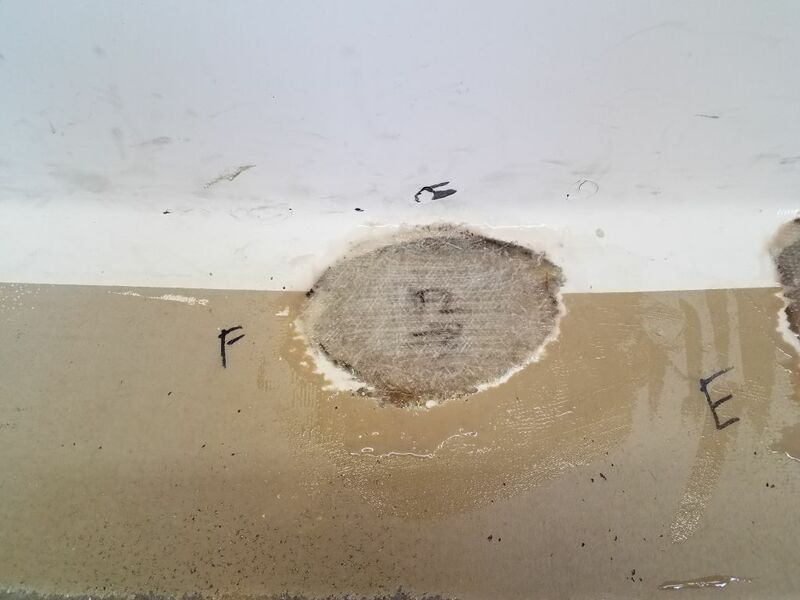 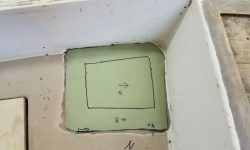 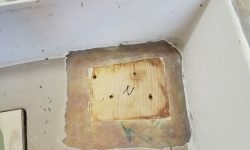 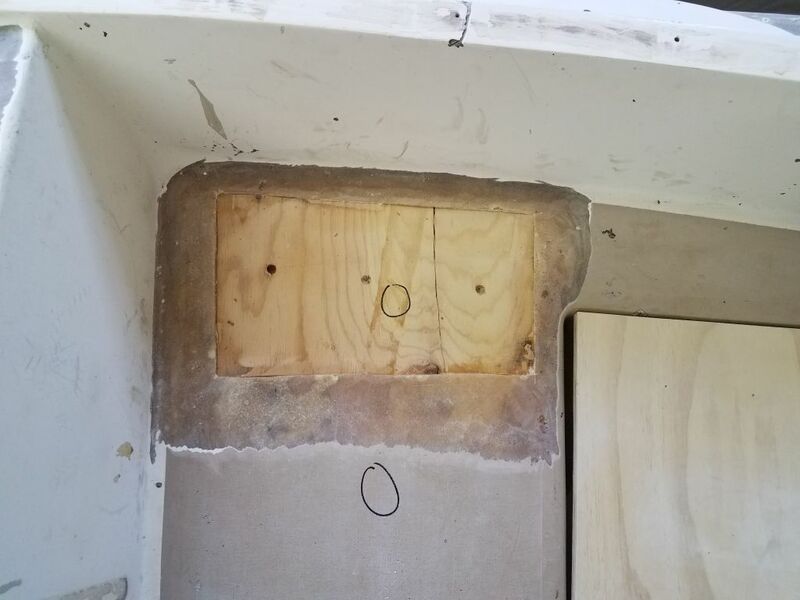 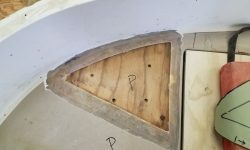 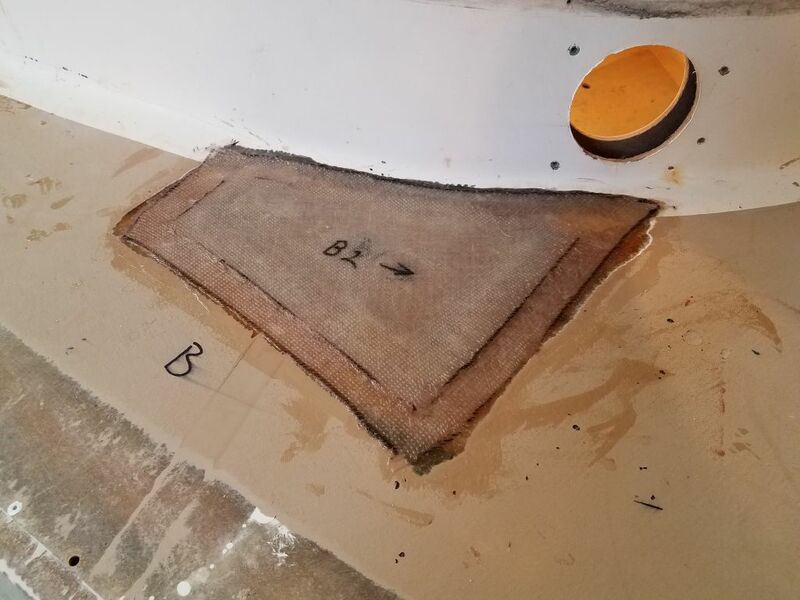 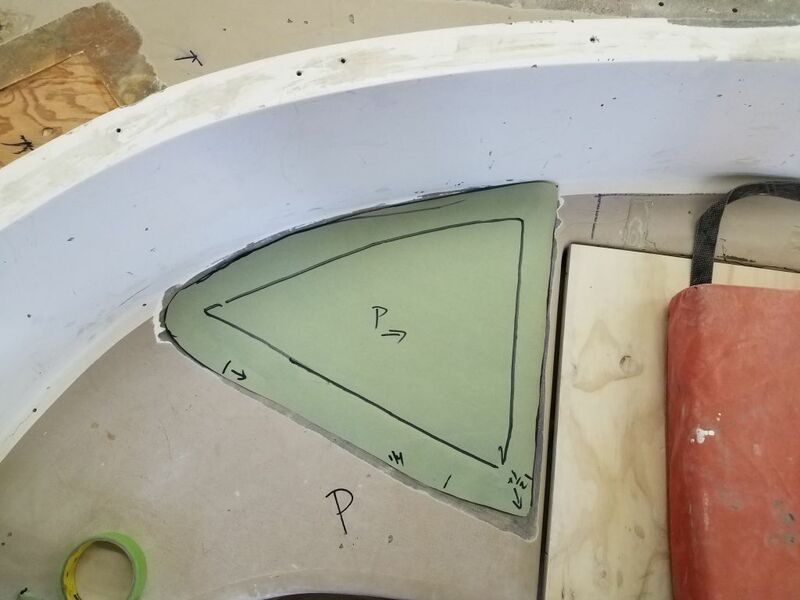 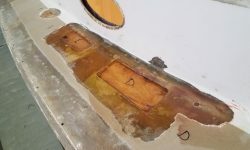 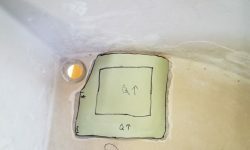 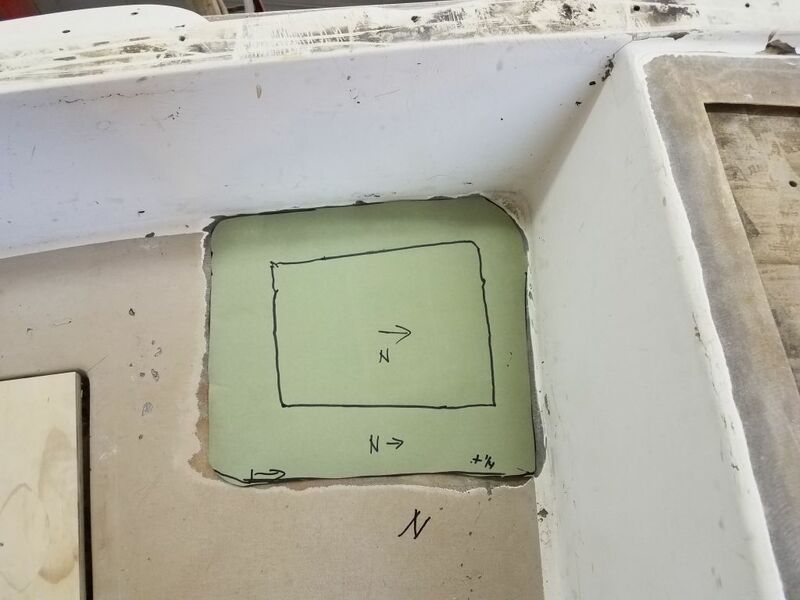 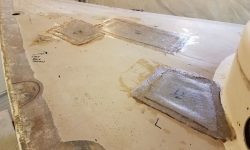 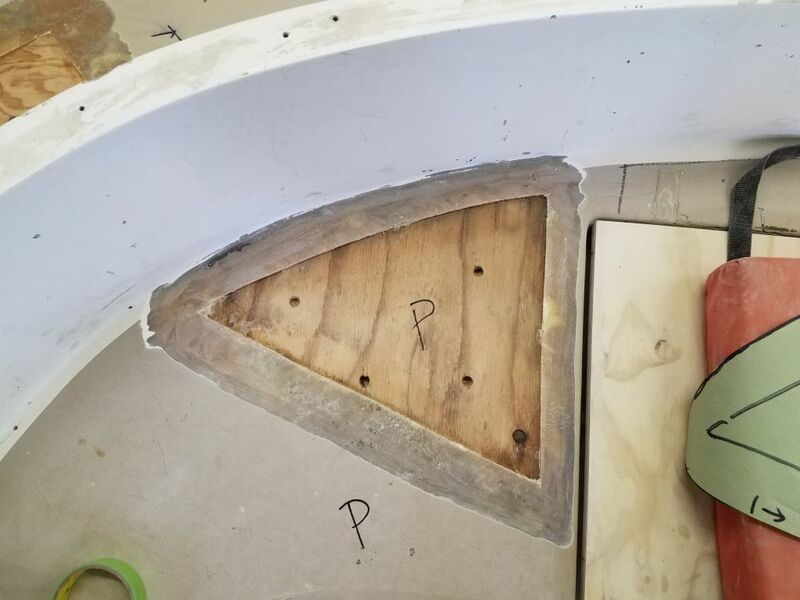 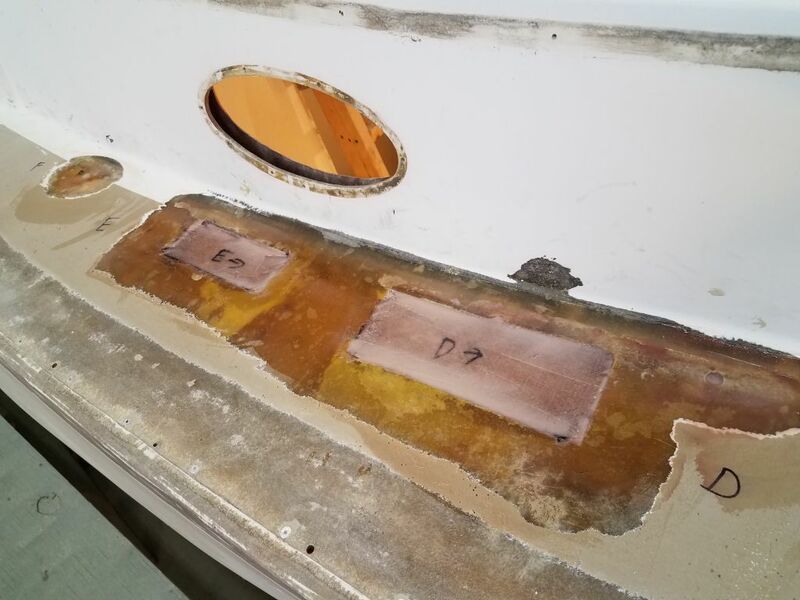 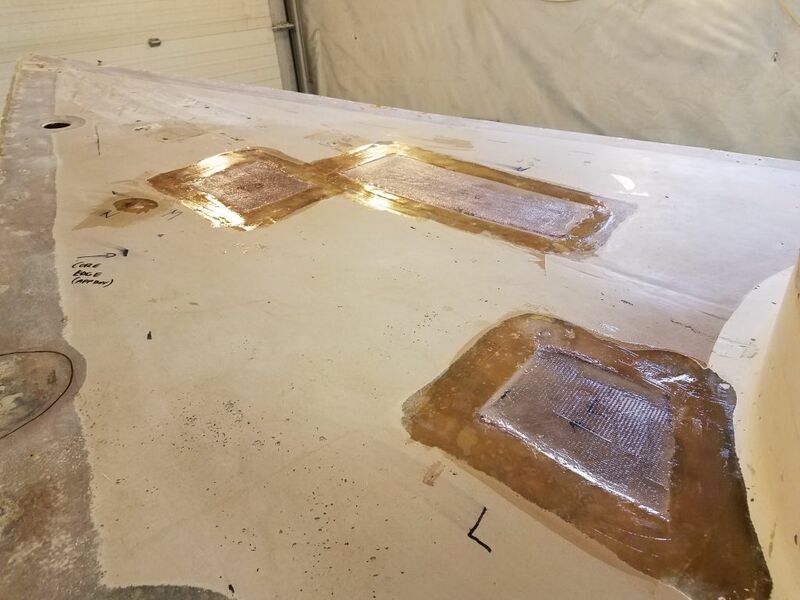 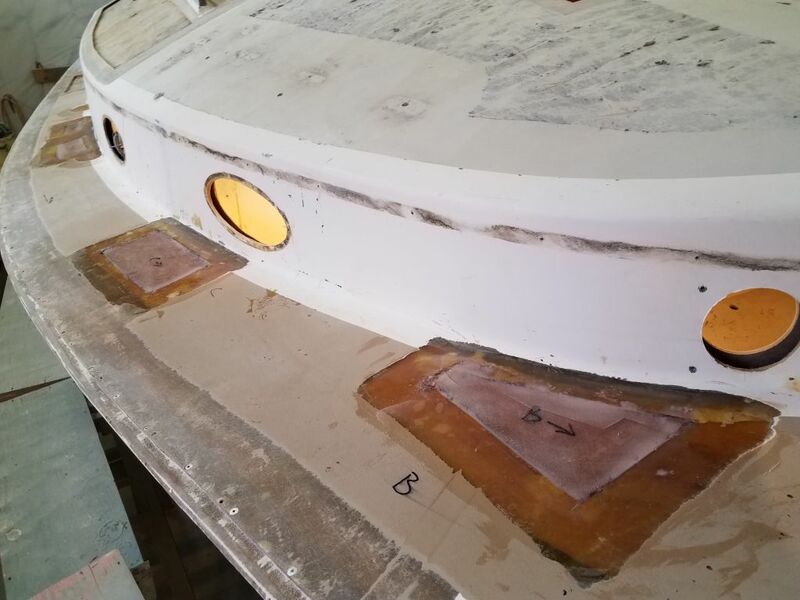 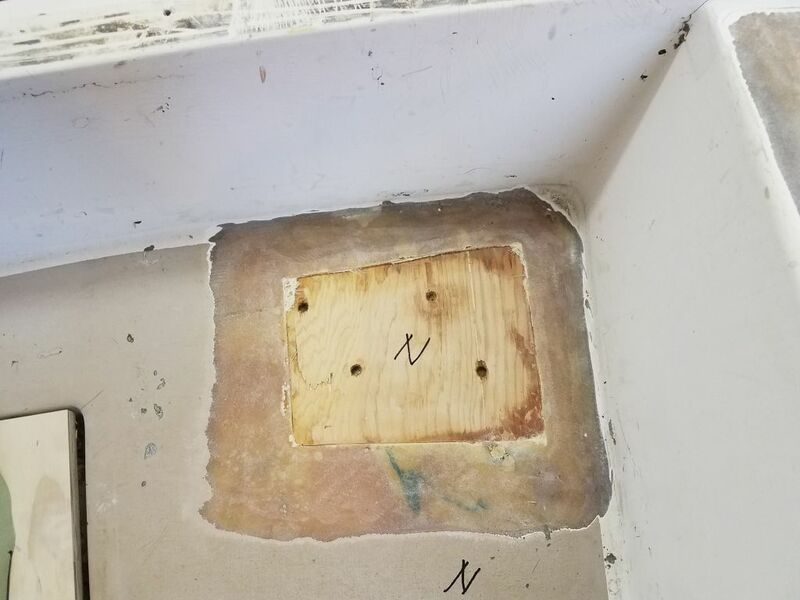 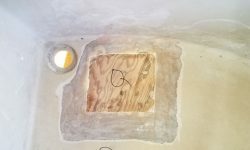 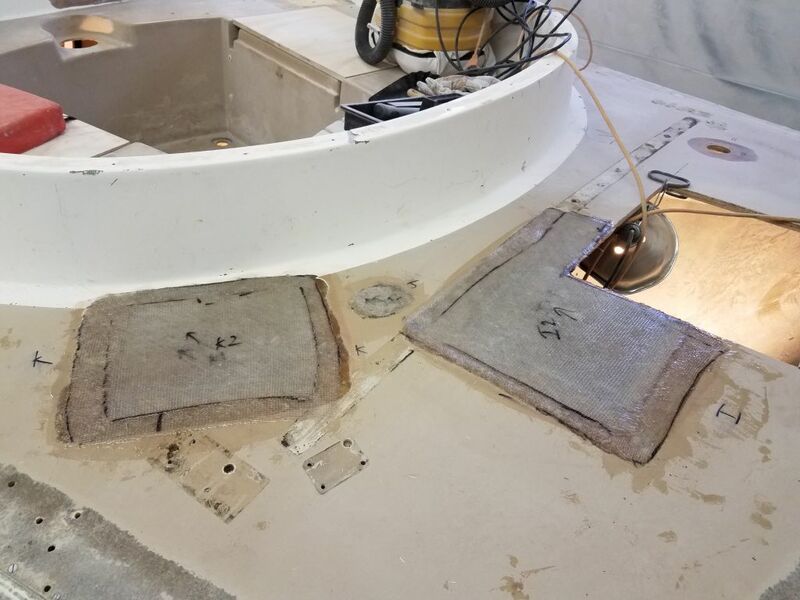 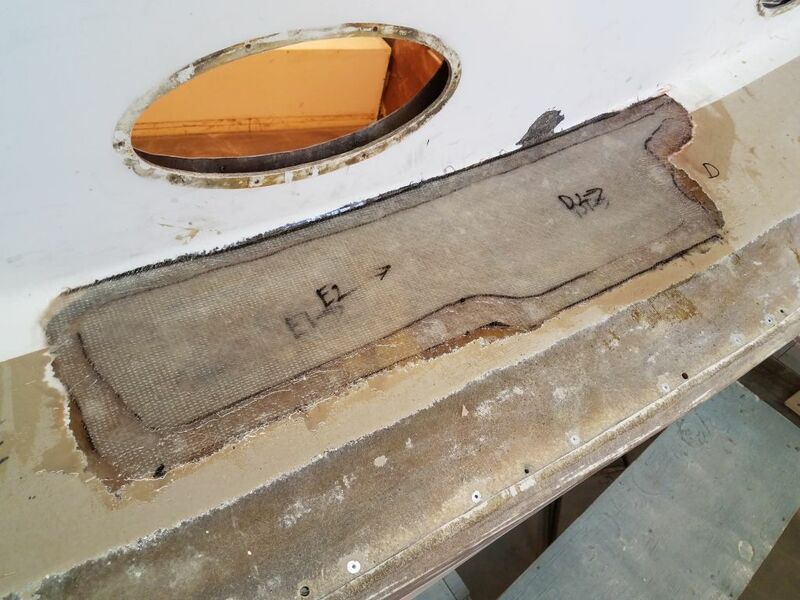 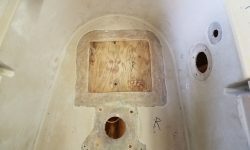 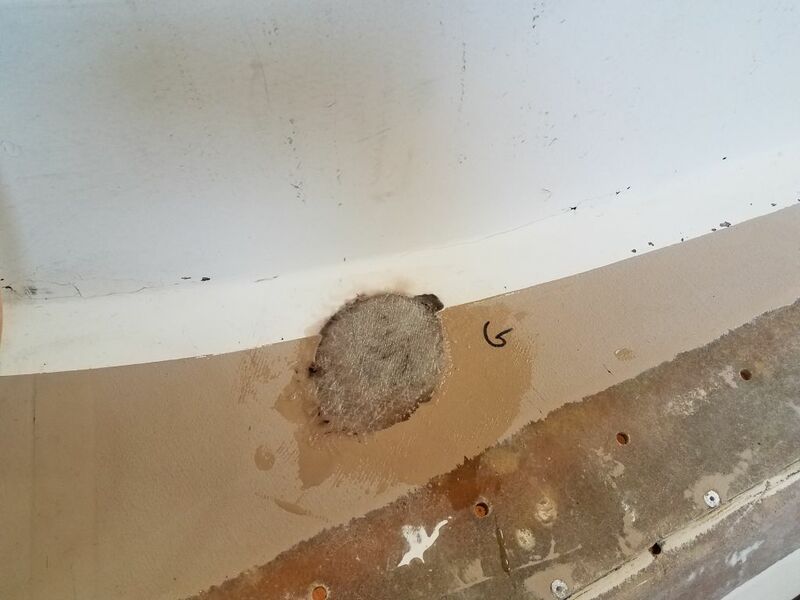 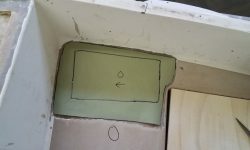 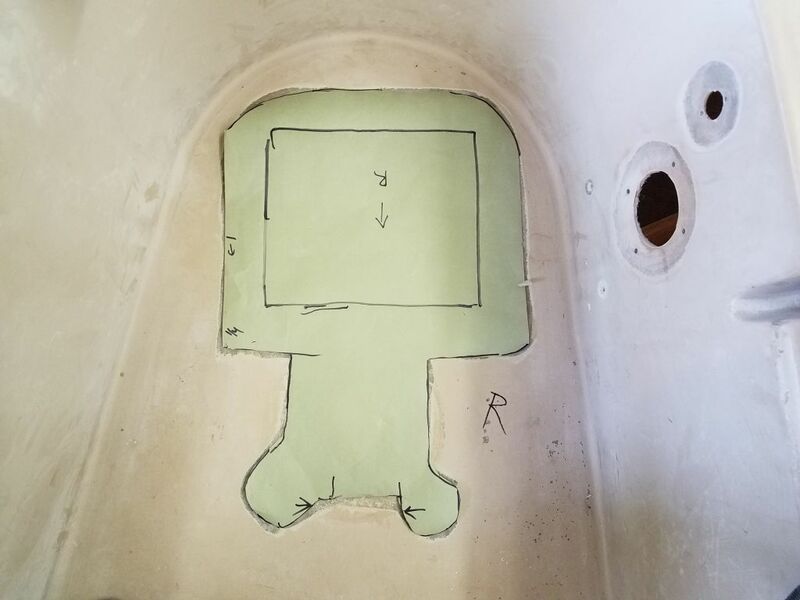 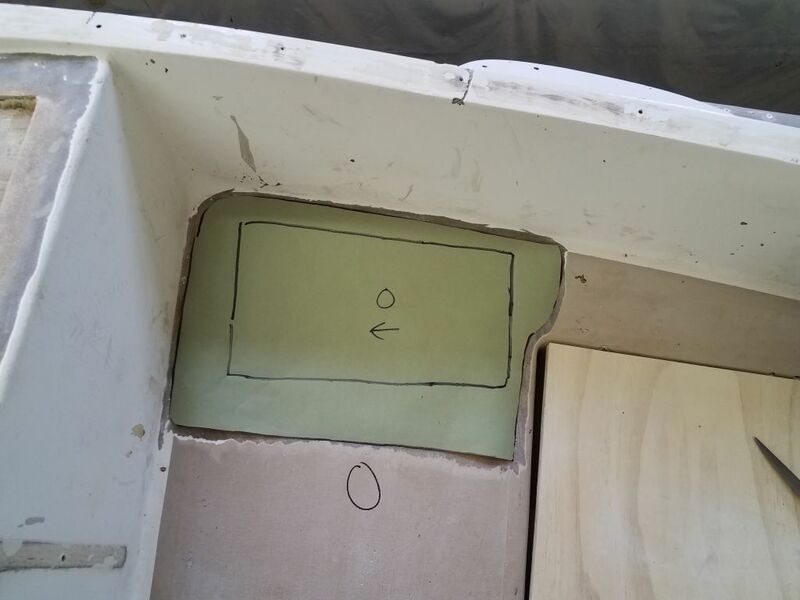 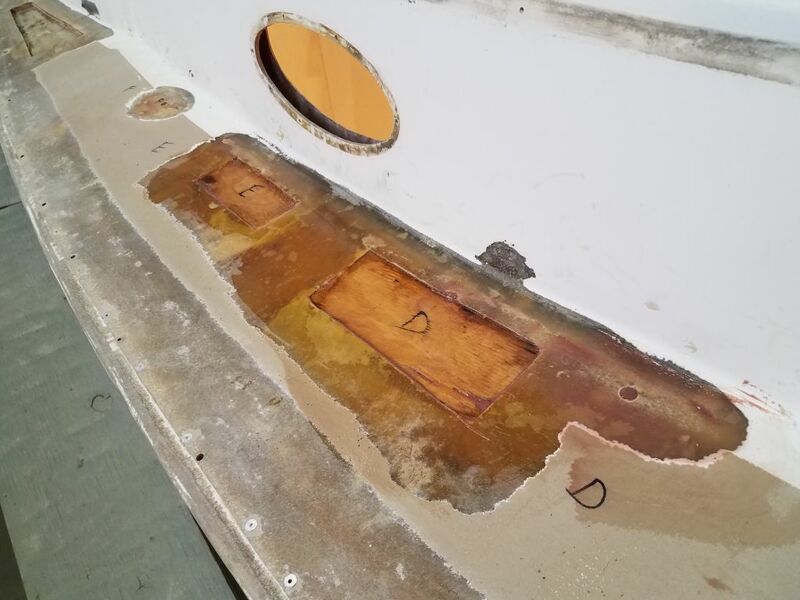 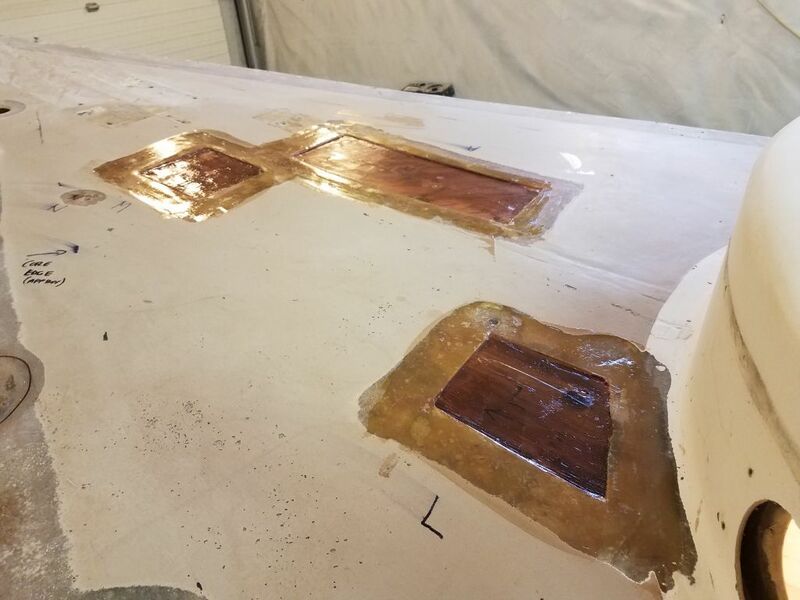 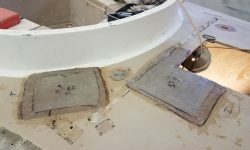 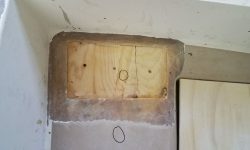 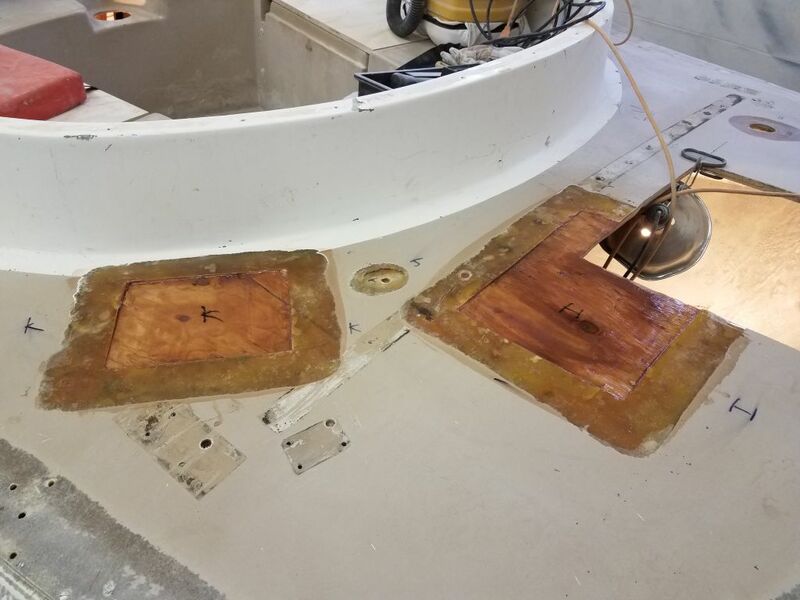 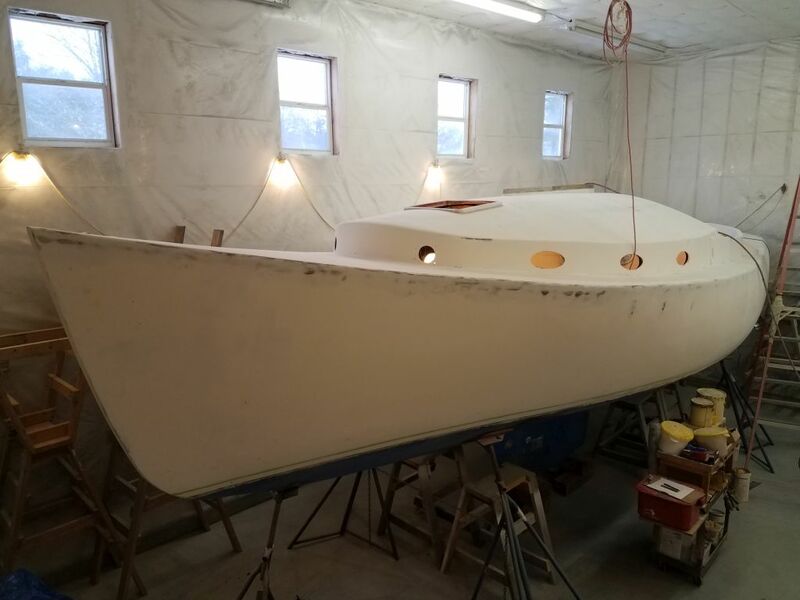 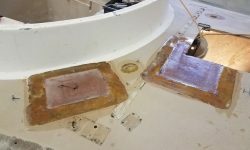 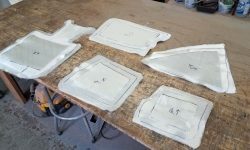 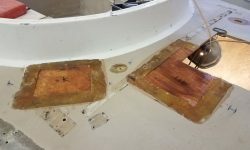 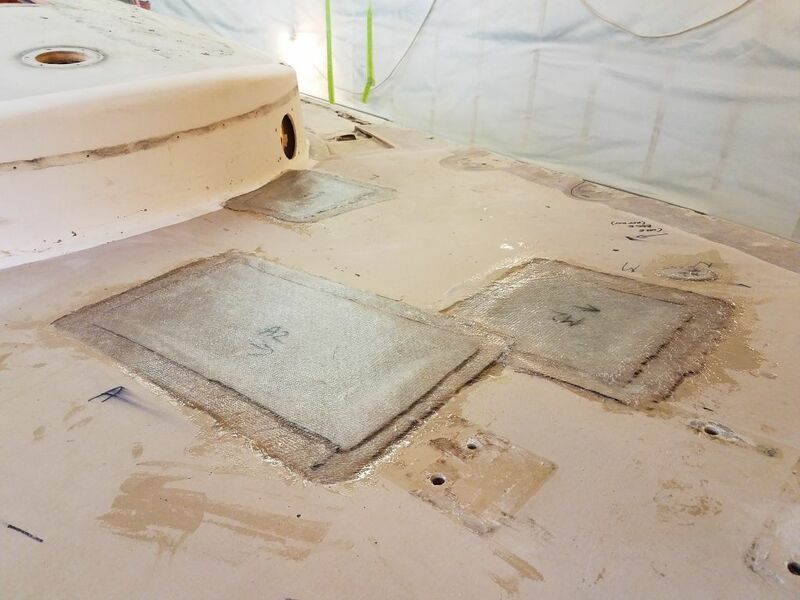 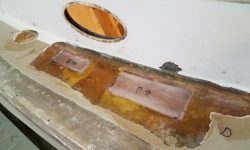 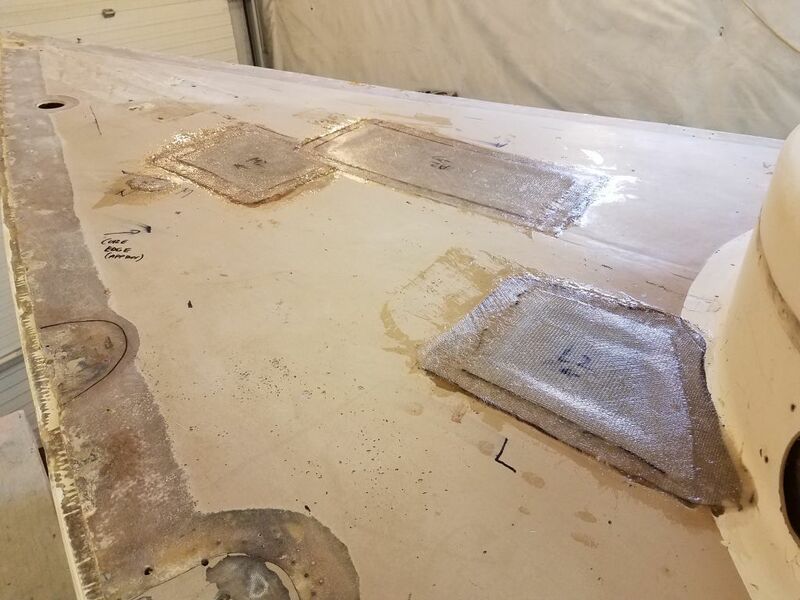 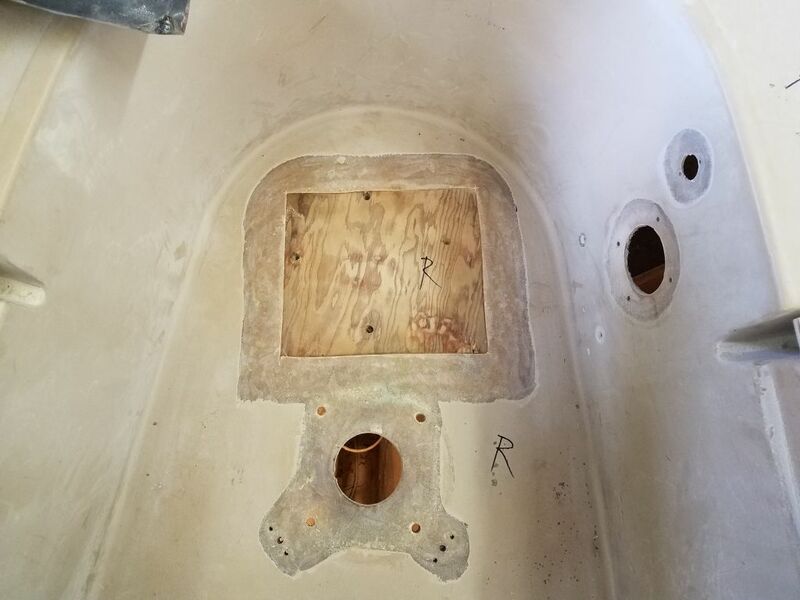 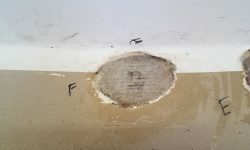 During the afternoon, I began by filling various small voids and holes in the exposed plywood core with a thickened epoxy mixture, and also pre-wetting the core and surrounding areas with epoxy to prepare for the new laminate. 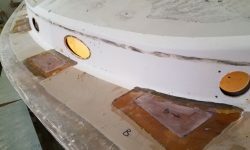 For now I focused only on the main decks, leaving the cockpit for another session. 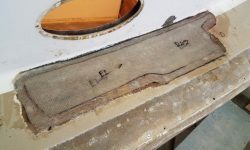 At each location on the main decks, I installed a layer of 1708 cut to fit directly over the core, bringing the center of each opening up roughly flush with the adjacent deck surfaces that I’d prepared earlier, and used additional slightly-thickened epoxy to smooth the edges for the next steps. 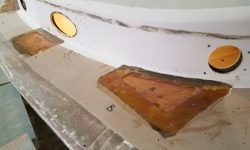 Finally, I installed two layers of the 1708 in epoxy resin over each section. 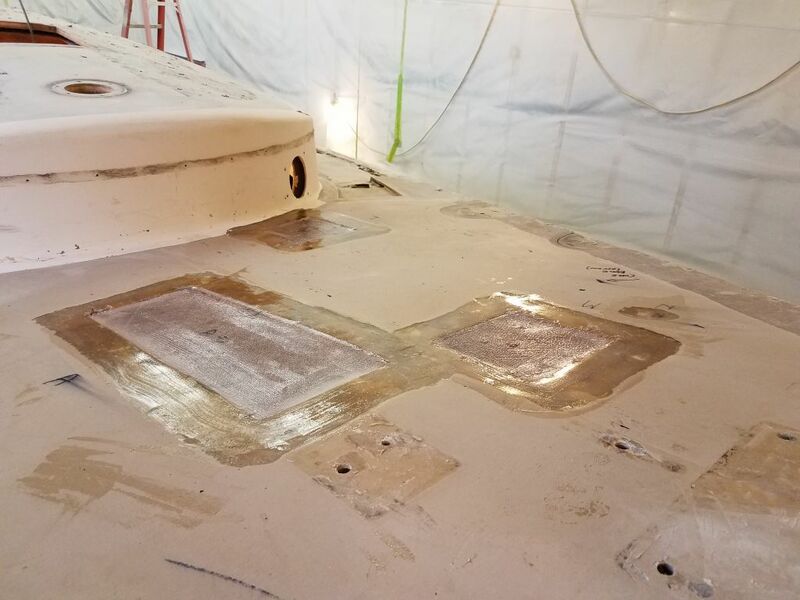 The final layers overlapped the adjacent decks by a couple inches on all sides and tied the new work in with the existing laminate.